Horizon 6.2 included a new feature when it was launched in early September – the EUC Access Gateway. This product is a hardened Linux appliance that has all of the features of the Security Server without the drawbacks of having to deploy Windows Servers into your DMZ. It will also eventually support Horizon Workspace/VMware Identity Manager. This new Horizon component exposes the “cattle philosophy” of virtual machine management. If it stops working properly, or a new version comes out, its to be disposed of and redeployed. To facilitate this, the appliance is configured and managed using a REST API. Unfortunately, working with this REST API isn’t exactly user friendly, especially if you’re only deploying one or two of these appliances. This API is also the only way to manage the appliance, and it does not have a VAMI interface or SSH access. I’ve put together a PowerShell script that simplifies and automates the configuration of the EUC Access Gateway Appliances. You can download the script off of my Github site. There are also placeholder parameters for configuring vIDM (which will be supported in future releases) and uploading SSL certificates. If you have any issues deploying a config, use the script to download a log bundle and open the admin.log file. This file will tell you what configuration element was rejected. I want to point out one troubleshooting note that my testers and I both experienced when developing this script. The REST API does not work until an admin password is set on the appliance. One thing we discovered is that there were times when the password would not be set despite one being provided during the deployment. If this happens, the script will fail when you try to get a config, set a config, or download the log bundle. When this happens, you either need to delete the appliance and redeploy it or log into the appliance through the vSphere console and manually set the admin password. Finally, I’d like to thank Andrew Morgan and Jarian Gibson for helping test this script and providing feedback that greatly improved the final product. Windows 7 drives 3D graphics, Aero needs 3D. Newer versions of Windows and new web browsers do even more. 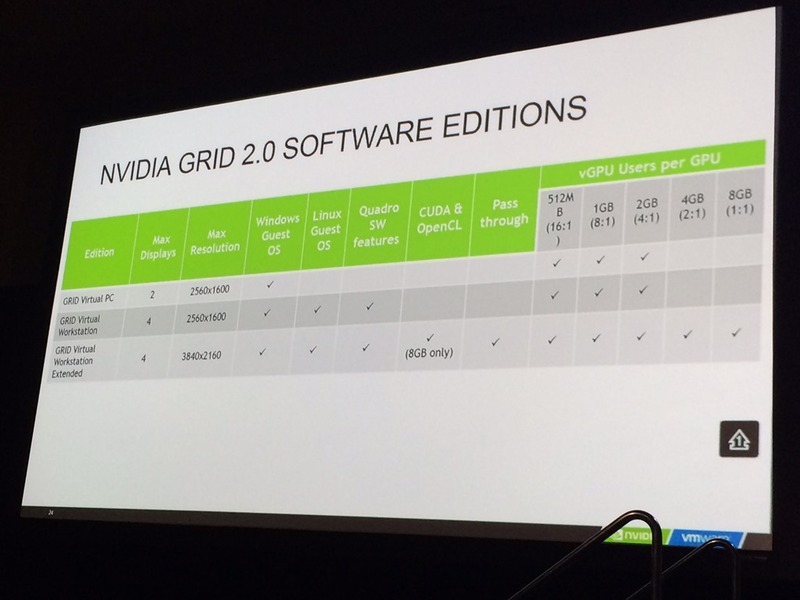 If you already have GRID cards and are using vDGA or vSGA, there is an upgrade path to vGPU. Licensing is changing. Licensed user groups. Use the VMware OS Optimization Tool fling. Users can see up to 40% in resource savings. VM Generation ID checked on DC boot, when a snapshot is created, or when the VM is reverted to an old snapshot. VM Generation-ID on VM is checked against the copy in the local database. One of the areas where Horizon 6.2 has a lot of improvements is in the User Experience category. The new version adds new features as well as brings a few older features out of tech preview. Client Drive redirection for Windows was in Tech Preview in Horizon 6.1.1. It officially comes out of Tech Preview in Horizon 6.2, and it is now supported on both Windows and Mac clients. It is also available as a tech preview for Linux clients. This feature, when installed on the virtual desktop, allows users to remotely access files and data that might have stored on their local PC. It utilizes compression and encryption when transferring files from the endpoint into the virtual desktop or server. Although Windows 10 was officially supported on vSphere 6 on Day 1, it wasn’t supported in Horizon. Virtual desktops built on Windows 10 would work, but there limits to what you could do, and other components of the Horizon Suite were not designed to work with or support it. Horizon 6.2 has full support for Windows 10. The Horizon Agent and Client are supported. This includes Smart Card authentication support. Windows 10 is only supported when running ESXi 5.5 Update 3 or ESXi 6.0 Update 1. There are times when I may want to allow a user to launch an application or work with files without installing the required applications on their machines. In these cases, the user would then have to log into Horizon, launch the application, and then navigate to the network location where the file was stored. But what if I could register a file handler in Windows that would allow me to double click on that file and have it launch the remote application automatically? Horizon 6.2 now adds this capability. In order to improve the user experience when opening files remotely, a data compression algorithm is utilized when transferring the files up to the remote host. This transfer is also protected with SHA 256 encryption for when clients are remotely accessing the remote application over the Internet. Horizon Client 3.5 will be supported on OSX 10.11 and IOS 9. The Horizon Client for IOS will support biometric authentication. This feature will allow users to store their credentials in Keychain and utilize their fingerprints to sign into their virtual desktops or published applications. Administrators can also define polices for who can use this feature from with the Horizon Administrator console. This feature is only supported with Horizon 6.2 when using Horizon Client 3.5. The mobile device must also be running IOS 8 or IOS 9. 3D graphics are becoming increasingly important in virtual desktop environments. While a number of high-end applications and use cases, such as CAD and medical imaging, require 3D graphics, modern applications are increasingly turning to the GPU to offload some processing. These days, most web browsers, Microsoft Office, and even Windows are utilizing the GPU to assist with rendering and other tasks. VMware has been slowly adding 3D support to Horizon. Initially, this was limited to dedicating GPUs to a virtual machine or sharing the GPU through hypervisor-level components. Horizon 6.1 added NVIDIA’s vGPU to provide better shared GPU access. Horizon 6.2 includes a significant number of improvements to virtual 3D acceleration. In fact, most of the improvements are in this category. 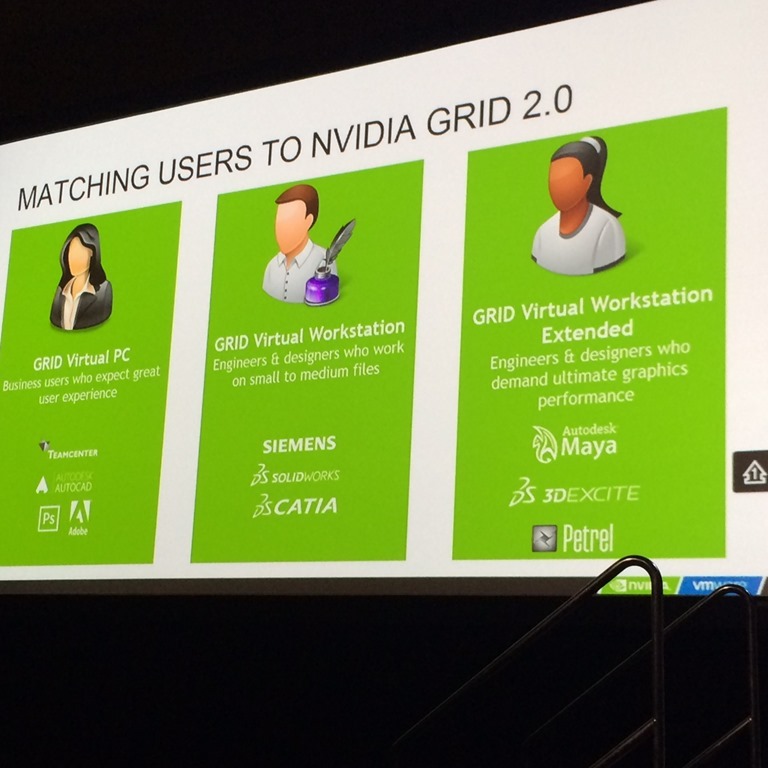 NVIDIA announced the next generation of GRID on Sunday afternoon. For more information, see my write-up on it here. AMD/ATI graphics cards were supported on virtual desktops in vSphere 5.x and Horizon 5.x. This did not carry over to Horizon 6. AMD support has been reintroduced in Horizon 6.2 for vDGA. RDS desktops and published applications will now support both vDGA and vGPU when utilizing supported NVIDIA graphics cards. 3D acceleration is supported on RDSH servers running Windows Server 2008 R2 and Windows Server 2012. When Linux desktops were introduced in Horizon 6.1.1, they only supported vDGA for 3D graphics. This limited Linux to a few specific use cases. Horizon 6.2 adds significant support for 3D acceleration. Both vSGA and vGPU are now available when utilizing supported NVIDIA graphics cards. Linux desktops with vGPU will be able to utilize OpenGL 2.1, 3.x, and 4.x, while desktops with vSGA will be limited to OpenGL 2.1. 4K content is extremely high resolution content, and more 4K content will appear as the displays start to come down in price. These displays, which have a resolution of 3840×2160, are useful in situations where high resolution imaging is needed. Horizon 6.2 will support in-guest resolutions up to 3840×2160. In order to achieve this, Horizon Agent 6.2 is needed in the guest, and the client must be connecting with Horizon Client 3.5. The guest operating system must be running Windows. A Windows 7 virtual desktop can support up to three 4K monitors when running on a VM with HW version 11 and with Aero disabled. Windows 7 machines with Aero enabled, or Windows 8 desktops running on HW version 10 can support a single 4K monitor. Please note that this is for in-guest display resolutions. Clients that have a 4K display with High DPI scaling are not supported at this time. One of the challenges of deploying Horizon is that, in order to provide external access, you need to deploy Windows machines into your network’s DMZ. These servers, called Security Servers, run a subset of the Connection Broker that proxies or tunnels PCOIP, Blast, and RDP connections into your environment. Horizon Security Servers have their limitations, though. To start with, they are usually not joined to an Active Directory domain, so they cannot be configured or managed with the Group Policies that manage the rest of your infrastructure. Because these servers live in the DMZ, they also need to be patched frequently and secured. Security Servers are also paired directly with a Connection Server. If the Connection Server is not available, users who connect with that particular security server would not be able to authenticate or connect to a desktop. This also limits the number of servers you can deploy to a maximum of seven. Horizon 6.2 will now include a new method of providing remote access called the Access Point. The Access Point is a locked-down virtual appliance built on SUSE Linux Enterprise Edition 11 that has feature parity with the Security Server. It allows you to remove Windows VMs from your DMZ, and it does not need to be paired with a Connection Server, so you can scale out your external access without having to add additional connection servers. The Access Point will not be dedicated to Horizon View. It is designed to work with all components of the Horizon Suite – reducing the number of external access components that you need to manage. If you work in a multi-domain or federated environment, Horizon View required a two-way trust between domains or forests in order to authenticate and entitle users. There are a number of environments where two-way trusts aren’t feasible. Think about companies that routinely undergo mergers, acquisitions, or divestitures. They have use cases for virtual desktop environments, but a two-way trust between Active Directory environments would pose security and integration challenges. Horizon 6.2 takes a step towards resolving this by adding support for 1-way Active Directory trusts. Users and groups from external (trusted) domains can now be granted access to Horizon desktops without having to create a full two-way trust. In order to fully support one-way forest trusts, Horizon will need to utilize a service account with permissions to authenticate against the trusted domain. This account is stored in the Horizon LDAP database, and all of its credentials are encrypted. Secondary credentials are managed by using the vdmadmin command line tool that is installed on Connection Servers. Horizon 6.2 will support vSphere 6 Update 1 on Day 1. The US Federal Government has a number of criteria that IT products must meet. These include things like IPv6 compatibility, FIPS cryptographic support, and Common Criteria certification. Horizon 6.1 introduced support for IPv6. 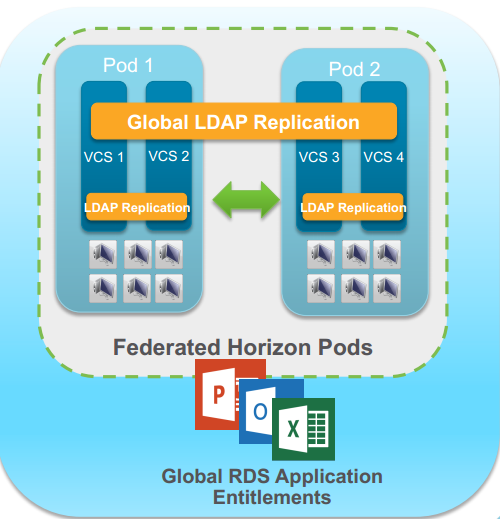 Horizon 6.2 expands upon this with support for FIPS on all Horizon Windows components. FIPS will also be supported in Horizon Client 3.5 for Windows. FIPS mode is optional, and it can be enabled if it is required. VMware will also be submitting Horizon 6.2 for Common Criteria certification, and this testing is currently in process. It should be completed sometime in 2016. The license console in previous versions of Horizon was not very detailed. It would give you the current number of active users with a breakdown by virtual machine type. Horizon 6.2 overhauls the licensing console on the Admin page. The new licensing console shows part of the key that is in use along with the number of concurrent connections and unique named users that have logged in. 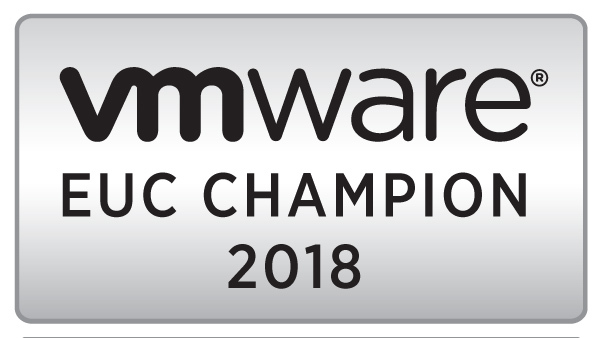 VMware has made a significant investment in end-user computing. A new release of Horizon comes about every six months, and each release contains several major new features. 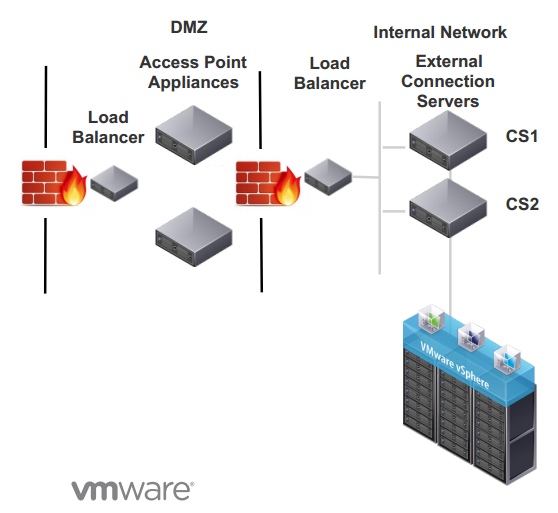 Today, VMware has announced the latest iteration of Horizon Suite – Horizon 6.2. This release greatly builds upon the features that have been released in the last few versions of Horizon. One thing we won’t be seeing in this version is the release of Instant Clones. This was announced at last year’s VMworld as Project Fargo, and it utilizes the instant cloning features to create on-demand virtual desktops.